Drug and alcohol rehabilitation centers can be overwhelming and intimidating to enroll in. If you or a loved one is trying to overcome a substance addiction, you may be apprehensive about enrolling in a drug treatment program. We understand. We encounter people who want help, but are too afraid to ask for it all of the time. 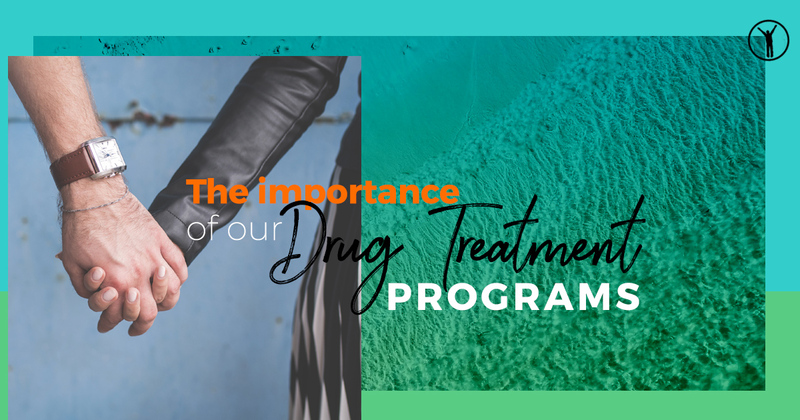 For this purpose, we’ll be diving into why drug treatment programs are so important. While there are the obvious explanations, such as overcoming addiction, there are other reasons too that we’ll go into below. If you’re even thinking about enrolling in a drug treatment program, then take the time to talk to a chemical dependency counselor at New Life Detox. If you have a drug or alcohol addiction, you might think that you can kick it yourself. And while you may be able to stop indulging in your substance of choice, that doesn’t mean it will be a long-term recovery. If you try to overcome it yourself, you won’t have the support and the abilities to detox in the way that we can provide at New Life Detox. For instance, some people think they can quit cold turkey and it may work for a few, but not everyone. Below you’ll find some reasons why enrolling in a drug treatment program is important. Getting sober can be one of the hardest things you do, but it can also be the most rewarding. Being able to actively take a role in your life against your addiction can be extremely important in being able to get sober, but you don’t always get there on your own. At New Life Detox, we can help you achieve sobriety. Our program is specifically designed to help you understand your triggers and why you turned to drugs initially. In addition, we are in a structured environment with 24 hour care by trained physicians. You’ll also have the time as an inpatient to clear your mind of the fog. When you enroll in a drug treatment program, you’ll meet other people who are struggling with addiction; however, you’ll also start to live your life again. By meeting with counselors and talking in support groups, you’ll realize that you can be happy and healthy again without substances. Day after day you’ll start to live again and you’ll feel better and more fulfilled when you realize it’s without synthetic happiness. With an inpatient program, you can have a support network in place. While it can be more difficult with outpatient, the start of a support system is so important to help you overcome those really bad days. What’s unique about our program is that we offer an intensive outpatient program, so no matter what part of the recovery process you’re on, you can expect to have a support system in place. Our drug treatment program is meant to be long-term. If you try to overcome your addiction by yourself, it might not be as long term as you’d want it to. It’s easy to slip up when you don’t have the support network and the mindset to push you through during those tough days. A long-term recovery is the most important facet you can take from our program because we give you the tools and knowledge to learn how to live sober long-term.